Embroidered caps can easily be your go-to page destination here at e4Hats, when picking out gifts for your loved ones. No matter the theme, from a city cap, to sports cap, and even a politics cap—we have it all here. Just click and browse!! When you first glance at a person it is nearly impossible to tell what they have done in their lifetime. 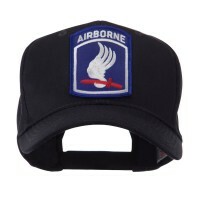 However, Embroidered Caps completely change this by featuring a personalized image or logo. 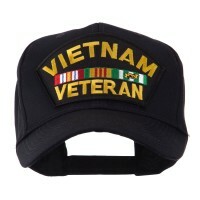 Whether a war veteran, an employee at a major company, athlete, or any everyday person, Embroidered Caps allow the wearer to stand out from the crowd and show off our personalities and achievements. Typically made of polyester, these caps feature logos or words embroidered onto the fabric of the hat either on the bill or on the front of the crown. 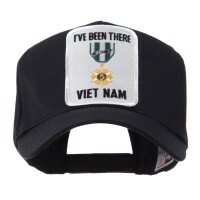 This unique spin to the traditional solid-colored cap gives people an easy way to show pride in their accomplishments, organizations, country, or whatever it is that they love. Very few pieces of clothing can tell a story as well as an Embroidered Cap can. Never again will people need to struggle showing off what it is that they love, thanks to Embroidered Caps. When looking for caps that are more customized to your needs then choosing an embroidered cap would be the right thing to do. Embroidered caps can also come in State Patched Caps. So, if you are representing your state, then this would be a good pick. 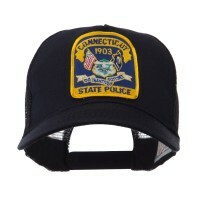 There’s also the State Embroidered Cap and it looks really nice with intricate embroideries that represent each state. Is your exclusive organization looking for a souvenir for your members? Why not check out e4Hats.com’s troops hatWord and Mascot Embroidered Caps or even the Life Style cap! Or are you a fan of certain organizations like NASA perhaps? Or military hats? We have them here! Not only do these hats have your favorite emblems emblazoned on front, you can also choose various colors for one design. Looking for a gift for grandpa? Why not pick the World’s Best Grandpa cap! 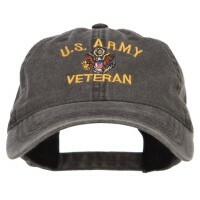 Surprise your hubby with a proud Retired, Veteran Hats! There’s so many embroidered caps to choose from that no matter the occasion or the reason for getting a baseball cap—we got you covered!